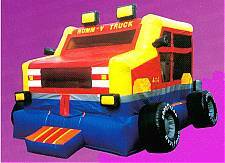 Hey, It all started with these time-tested inflatables! 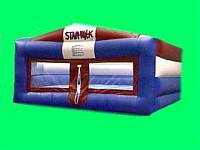 All Star has a very diverse selection of bounces to choose from. You can pick from one of our specialty units like the all-new HUMM-V look alike or stick with the simple non-themed versions. 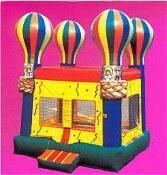 We have open air or enclosed, big or small. Yes, we have them all. Send mail to webmaster@stageglow.com with questions or comments about this web site. Copyright © 2001 Glo Gem Productions, Inc.